Concealable, self defense weapon with six inch slide and height of three inches. Combination of Glock technology and interchangeability. 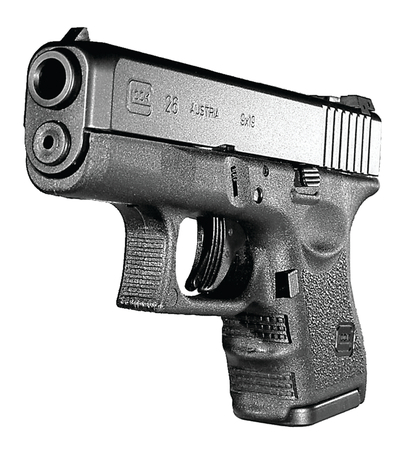 Parts are interchangeable with other Glock models of same caliber. Fixed sights.